CAR – FREE parking is available at the Business Complex or on the surrounding streets. Turn into Wayne Goss Drive, off Browns Plains Road. The Australia Wide First Aid training centre is located straight ahead once you enter the Business Complex off Kellar Street. Water, coffee and tea is provided throughout the day. There is a 30 minute lunch break for courses running over 4 hours. You are welcome to bring your own lunch. Alternatively, there is a cafe located next door to the training centre (weekdays only). One of our goals here at Australia Wide First Aid is to make first aid trainings as convenient as possible for our students. This is why we’ve chosen to hold regular training courses in Logan City, which is located between Brisbane and Gold Coast. We believe that this advantageous location can help us make first aid courses more accessible to residents and businesses in and around Logan. Our company offers first aid training in 21 locations across the country. To take the stress out of organising trainings, Australia Wide First Aid has streamlined 1-day courses that students can take any day of the week. We can also send our team to your home or place of work, so you can receive face-to-face training that’s well suited to the nature of your business. 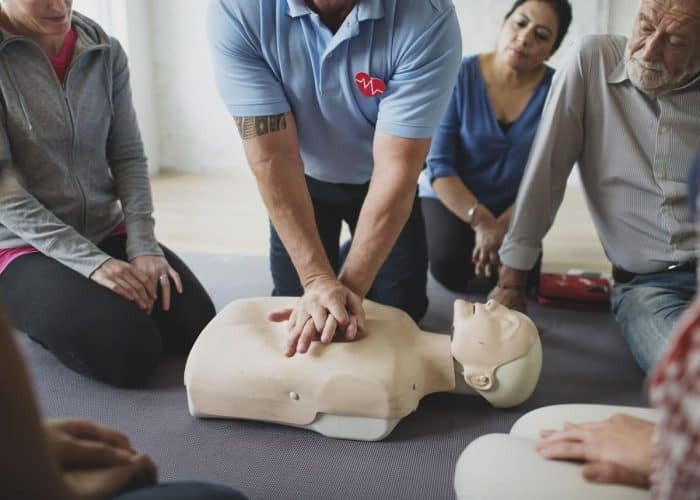 Australia Wide First Aid is a nationally recognised training organisation (RTO 31961), and the courses we offer are strictly aligned with the guidelines set by the Australian and New Zealand Committee on Resuscitation (ANZCOR). As such, the statement of attainment that we issue our students are recognised nationally. We also have qualified and highly experienced trainers and assessors who deliver consistently professional training in accordance with the VET Quality Framework. Knowing first aid can help you save lives. First aid skills and knowledge can be used to ease the pain experienced by the patient and prevent their injuries from getting worse. It can spell the difference between life and death, the gravity of the injury, and the recovery period needed by the patient. First aiders must have the necessary skills and knowledge to administer first aid. They should know how to properly assess the situation and make the right decisions. They should also remain calm in times of emergency, as one of their duties is to reassure the patient under their care. Why Do You Need to Learn First Aid? Emergency situations can happen any time at any place, and many people spend most of their time at home or in the workplace. Knowing how to administer first aid can give you the confidence to promptly help others in times of need without compromising your own safety. 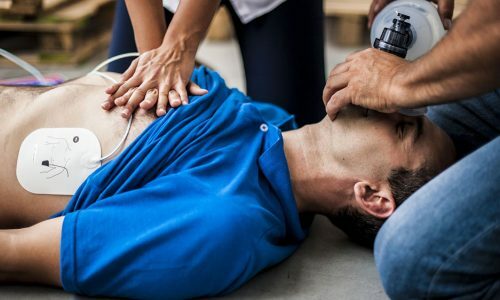 Possessing first aid certifications can also improve your employability, as there are careers and workplaces that require people who know how to administer basic to advanced first aid. What’s more, undergoing first aid training can earn you Continuing Professional Development (CPD) points. Another aspect of first aid that makes it so useful is that it helps you become more aware of the hazards in your home or workplace. 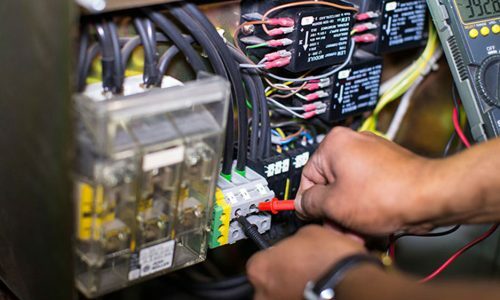 Once you know the common dangers you face, you can take steps to reduce risks and formulate emergency response plans that address the specifics of your home, facility, or office situation. What Does It Take to Become a First Aider? To become a first aider, you need to undergo training from a registered training organisation like Australia Wide First Aid. After completing all the required units of a module and passing the assessment, you’ll receive a statement of attainment. Take note that a Provide First Aid certificate is valid for 3 years, while it is recommended that you renew your CPR certification every 12 months. This course is taught in line with the guidelines set by the Australian Resuscitation Council (ARC) and meets the requirements of the Australian Children’s Education and Care Quality Authority (ACECQA). It requires up to 4 hours of pre-reading and assessment and 4 hours of face-to-face training. 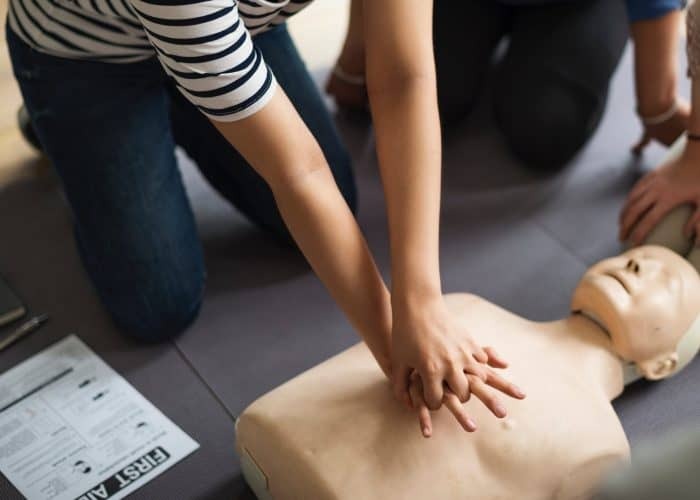 This course provides students with the skills and knowledge required to assess emergency situations, provide CPR, use an automatic external defibrillator, and perform low voltage rescue procedures, among others. It requires up to 3 hours of pre-reading and online assessment and 5 hours of face-to-face training. The course teaches students how to respond to emergency situations in accordance with the requirements set by the ACECQA. 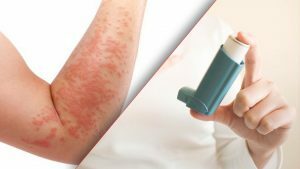 It covers asthma and anaphylaxis management and first aid. The course requires 9 hours of face-to-face training and up to 8 hours of pre-reading and online assessment. Australia Wide First Aid also offers an Express Emergency First Aid course that requires around 6 hours of face-to-face training. Those who want to meet the minimum requirement for workplace first aid compliance should take up Provide First Aid. The course covers first aid, casualty management, and life support and requires 8 hours of face-to-face training and 8 hours of pre-reading and online assessment. We also offer an Express Provide First Aid course that requires around 5 hours of face-to-face training. The first component of Provide First Aid, Provide CPR enables students to respond properly to breathing and cardiac emergencies. This course requires a 2.5-hour pre-reading and online assessment and a 3-hour face-to-face training. We also have an Express CPR course that takes about 2 hours of face-to-face training. Take note that CPR Certifications have a validity of 12 months. While streamlined courses take less hours to complete, they provide students with the same level of first aid skills and knowledge as regular courses. Take note that both regular and fast tracked courses still require students to read Australia Wide First Aid’s e-manual and complete the online assessment on or before 11:59PM the night before their face-to-face training. Students who have completed the requirements of their course and passed the assessment will receive their statement of attainment within 24 hours. Also, fast-tracked courses can only be taken by students who can provide proof that they have already completed the course’s equivalent regular training. Book one of Australia Wide First Aid’s training courses in Logan City today. For inquiries, please email info@australiawidefirstaid.com.au or call 1300 336 613. Our support team is available Monday through Friday from 8:00AM to 5:30PM.